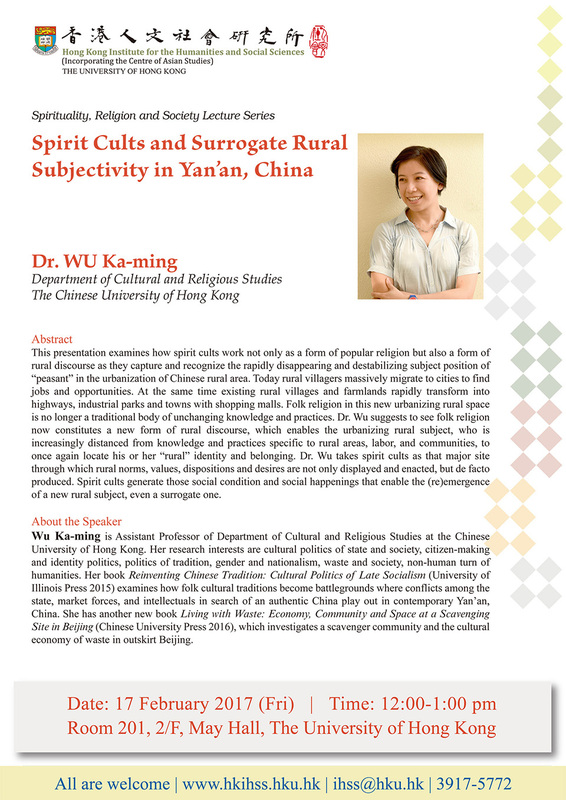 This presentation examines how spirit cults work not only as a form of popular religion but also a form of rural discourse as they capture and recognize the rapidly disappearing and destabilizing subject position of “peasant” in the urbanization of Chinese rural area. Today rural villagers massively migrate to cities to find jobs and opportunities. At the same time existing rural villages and farmlands rapidly transform into highways, industrial parks and towns with shopping malls. Folk religion in this new urbanizing rural space is no longer a traditional body of unchanging knowledge and practices. Dr. Wu suggests to see folk religion now constitutes a new form of rural discourse, which enables the urbanizing rural subject, who is increasingly distanced from knowledge and practices specific to rural areas, labor, and communities, to once again locate his or her “rural” identity and belonging. Dr. Wu takes spirit cults as that major site through which rural norms, values, dispositions and desires are not only displayed and enacted, but de facto produced. Spirit cults generate those social condition and social happenings that enable the (re)emergence of a new rural subject, even a surrogate one. 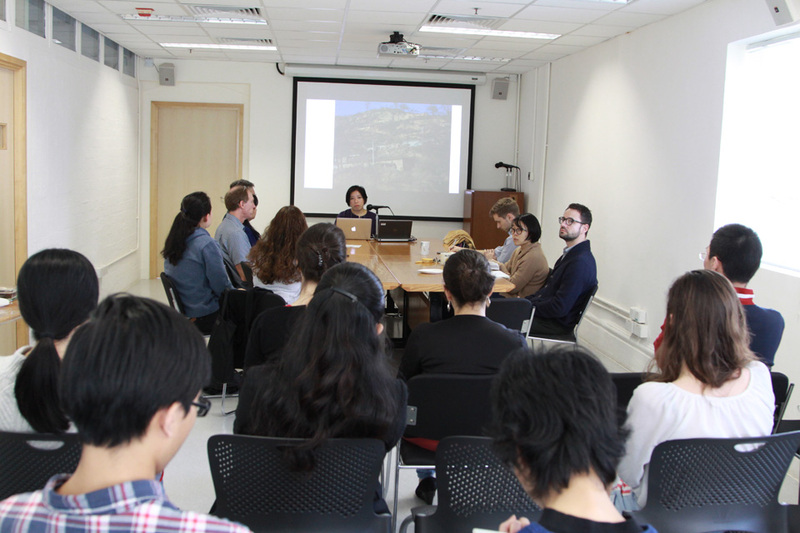 Wu Ka-ming is Assistant Professor of Department of Cultural and Religious Studies at the Chinese University of Hong Kong. 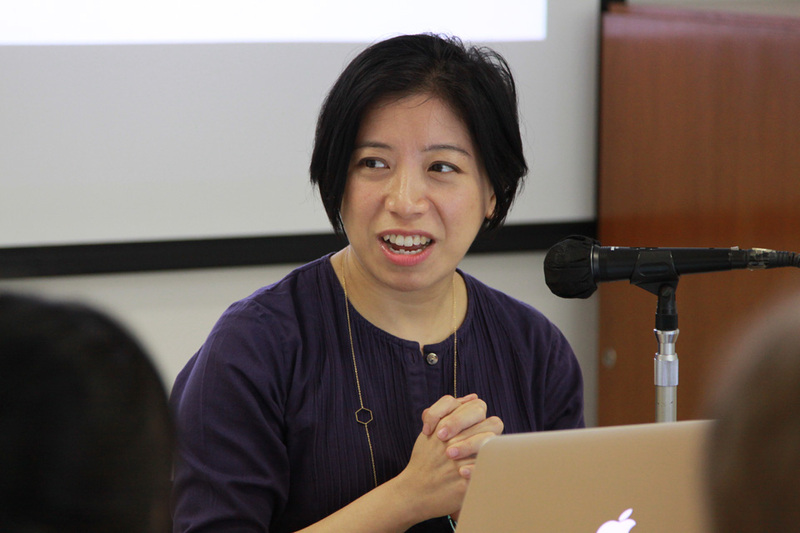 Her research interests are cultural politics of state and society, citizen-making and identity politics, politics of tradition, gender and nationalism, waste and society, non-human tum of humanities. Her book Reinventing Chinese Tradition: Cultural Politics of Late Socialism (University of Illinois Press 2015) examines how folk cultural traditions become battlegrounds where conflicts among the state, market forces, and intellectuals in search of an authentic China play out in contemporary Yan’an, China. She has another new book Living with Waste: Economy, Community and Space at a Scavenging Site in Beijing (Chinese University Press 2016), which investigates a scavenger community and the cultural economy of waste in outskirt Beijing.